Moving to Singapore and not sure where to start? Expat Living is the essential lifestyle guide to living in Singapore. These new cars are cool and clean! Need to print business cards or banners? Want your tot to be a Mucky pup? How are STEM, STEAM and STREAM taught? Entertaining? Get a good-looking bar! Kafe Utu: African food in Singapore! Play mini-golf while you drink! Looking for jewellery gift ideas? Don’t worry! We have got you covered with these gorgeous pieces which would make the perfect present for that special someone in your life. Although they’ve made a name for themselves for their beautiful bespoke jewellery creations, Madly Gems also carry a selection of ready-to-wear designs. These of course, are given the same level of quality and care as a custom design! It’s the perfect option if you want a stunning piece of jewellery fast, to wear now or in time for the New Year! Each luxe creation is made in 18-carat gold and ethically-sourced fine gemstones (we’ve heard some are rarer than diamonds!) Prices start from $2000. Madly Gems is located at 72 Seng Poh Road, #01-63, 160072. By appointment only. For enquiries, email bespoke@madlygems.com or call 6650 1544. We love The Jewel Box’s Morphosis collection, a selection of eye-popping rings and earrings inspired by the humble tagua nut. The tagua tree, grown in countries like Panama and Ecuador, takes 15 years to bear fruit! Each piece is shaped and carved by hand into an organic form and then embellished with materials such as lapis lazuli, malachite and mother of pearl, as well as diamonds. Email bespoke@thejewelbox.com or call 6733 4100 to enquire. Founded by jewellery designer Manjrie Gupta, each piece from the Duo range from jewellery label Manjrie is consciously crafted in sterling silver and will have you sparkling in style for the festive season and beyond. Our favourite picks? The rhodium-plated sterling silver earrings and ring duo ($250 and $150). Set with glossy white pearls, iridescent opals and sparkling zircons, each piece is meticulously handcrafted using ethically-sourced natural stones. Email manjrie@gmail.com or call 8152 1415 for enquiries. For classic elegance, you can never go wrong with pearl jewellery. For the real deal, make sure you buy them from a reputable source. Atlas Pearls has a twenty year history in sourcing South Sea pearls and crafting them into fine jewellery. On our wishlist? This Edged collection ring, a multi-layer 18k ring with a 12mm South Sea Pearl. For a more budget friendly options, check out their sterling silver range, which starts from $100 and up. Simply stunning! Curating luxury watches from around the globe, ShopWorn is the only online retailer we’ve coming across that sells designer display-model women’s watches, jewellery and accessories from retailers around the world – at up to 80 percent off the retail price! All the products on site – which include brand names such as Breitling, Omega, Dior and Rado – have never been pre-owned and have been only gently handled in stores. All pieces go through a proper inspection process from ShopWorn’s team of experts before being listed on site. For women looking for versatile jewellery that they can easily dress up and down, look no further than local label Taula. Founded by Kanika Mittal, each piece of their jewellery is crafted in precious metals and coloured gemstones. There’s designs for varying budgets too! You could choose to splurge on the signature Taula Necklace, a combination of 925 silver with 18K yellow gold micron plating, embellished with Chalcedony Blue, Moonstone Peach and Prehnite gemstones for $1299, or a pretty pair of Oasis Earrings (pictured), made from 925 silver with 18K yellow gold plating, and embellished with gemstones ($179). For one of a kind pearl jewellery, check out Maarz Pearls. Designer Maryam Haroon works with fresh water or cultured pearls, multiple gem stones and crystals to create her stunning pieces. Since both pearls and stones vary in their shape and size, each piece is different from the next, giving them their own special character. Each piece is hand crafted with 18K gold plated sterling silver. Maarz Pearls always has a variety of collections in stock and doesn’t repeat designs. Instead, she offers signature collections throughout the year and creates two limited edition collections a year. These are completely one off pieces made from a fusion or pearls and other stones hand picked from the designers travel around the world. For enquiries email haroonmaryam@hotmail.com or whatsapp +65 9239 5952. The Stones that Rock story started with friends Leah and Annie and their passion for travel and design. Inspired to create beautiful, versatile jewellery it was always their aim to create classic and contemporary pieces that were both stylish and easy to wear. Their bestsellers include beautiful pearl choker necklaces as well as versatile lariats that can be worn multiple ways. In the Christmas mood? Check out our ultimate guide to Christmas dining! A creative multi-hyphenate at heart, Susannah loves nothing more than writing, directing shoots or capturing the world through her camera. She's passionate about spreading the word about sustainability in fashion and beauty, and empowering women to look and feel their best. Enter your email address to stay in touch! By subscribing, you'll receive our monthly newsletters and offers, which you can unsubscribe to anytime. Best Facials Singapore: We review facial treatments! 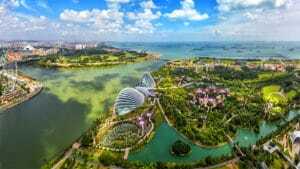 © 2019 Expat Living Singapore, All Rights Reserved.